First off, I want to state that these are my feelings about the main E3 conferences that took place and what I thought about them. I’ll also say that going into E3 I kept my expectations lowered due to the leaks and announcements close to E3. I’ll be saying IP a lot which means Intellectual Property; you can think of it as game franchises or individual games. I did leave out the PC Game Show mostly because I didn’t feel the games showcased on the PC Game Show compare well with the other conferences. Lastly, each title will link to the corresponding conference. Alright, so let’s get into it. This was a conference I wasn’t expecting much out of. There was Madden 17 and FIFA 17 of course. Now, this brings me to a side note. I know a lot of people go “oh sports, greeeeeeeat”. You have to understand two things. One: Madden and FIFA makes EA lots of money. I mean lots. Two: some people like sports games. Honestly when eSports is made fun of by people who believe in “actual sports”, it’s a bit hypocritical to turn on people who like these games. To each their own I say. If you don’t like it, you don’t have to talk about it. In fact, FIFA 17 The Journey actually looks interesting as they’ve added a story mode. One of the revealed promising games was an indie game called Fe which I’ve heard it be called a Dark Souls cross with Journey. Both games are popular some maybe Fe will make waves. Overall I didn’t feel impressed with the EA conference. It may be because most of the content was predicted or shown before E3 already. Battlefield 1 and Titanfall 2 looks really good but were announced before the conference so not much extra was shown. Mass Effect didn’t have gameplay yet so we’re probably looking earliest next year holiday season. Star Wars was nothing really significant outside of updates that weren’t visually represented game-wise. All they really talk about is the multitude of teams working on different Star Wars games hard at work on these updates or new games. This was another conference I didn’t expect much out of. Surprisingly, Bethesda did decently. They surprised the world with Quake and Prey. Releasing a popular IP that hasn’t been touched in a while is a good way to garner views. Also, the Quake and Prey announcements were actual announcements, not leaks. In addition, they touched on Elder Scrolls Online with updates and DLC which one lady in the crowd was super hyped about mind you. Fallout 4 has come DLCs and updates as well. Fallout Shelter is getting updates and a PC port. There was the Elder Scrolls Legends Card Game which could make waves as Online CCGs seem to have quite the audience. Finally we had Dishonored 2 which was the highlight of the show. It looks amazing with the two playable characters and their abilities. The world itself is gritty but has a fantasy feel at the same time. There’s also a time mechanic involved. It will do well. I feel like Bethesda’s conference was ok. There was some sort of an extra vibe to the conference that made the content shown feel acceptable. Not really sure I can put my finger on it. I think it was the combination of new IPs and visual representation of the updates a few games were going to have. Now this was a conference that’d I thought would be 50% hardware/software and 50% games. It felt pretty much that with Microsoft introducing an Xbox One Slim, custom controllers, MMo-like features for Xbox Live and the teasing their next console Project Scorpio. However, they also introduced Play Anywhere. A new program where any “Play Anywhere” games can be bought once and be played on Xbox One or Windows 10. Furthermore, progress is synced so you can play on one system and easily swap to the other if needed. I found this rather genius on Microsoft’s part. One: it opens the door for PC gamers to have more games that would have been just on console, Xbox One players can swap to a PC when they want, Microsoft actually gets more money for providing exclusive games on PC. Overall, I think Microsoft did fairly well with Play Anywhere feature in . Gears of War 4, Recore, and Scalebound being some of the games I see a lot of players enjoying. We Happy Few also debuted at the Microsoft conference and definitely has good potential. Expectations for Ubisoft conference were a little higher but still expected a lot of games announced from last E3 and Watch Dogs 2 which was announced/leaked I think literally a week before E3. Results were pretty good. We saw gameplay for games teased last E3 such as Ghost Recon: Wildlands, South Park: The Fractured But Whole & For Honor. We also got teased of a possible Watch Dogs movie. Ubisoft also revealed some new IPs, some of which were VR such as Eagle Flight and Star Trek Bridge Crew. Both look cool but the issue I see is playing with a multitude of friends with VR sets may be an expensive endeavor. Of course there were other new IPs such as Trials of the Blood Dragon (which is out now) and Steep which is an open world alpine sports game. It reminds me of SSX but on a bigger scale. I’ve seen quite a few people liking what they saw so this game could have some decent popularity. Ubisoft did a solid job providing gameplay for last year’s teased E3 games while offering new things as well. There’s no Assassin’s Creed game this year but there is the movie; . Sony, I was expecting some kind of play that will compete with whatever Microsoft has currently. Then there would be some games, announced games from last E3 and I expected some new IPs and VR. Man did they deliver. It was pretty much a strong string of games. Sony started which epic orchestral music which was the prelude for the trailer of the new God of War game. There was Horizon, The Last Guardian (with a release date finally), Detroit: Become Human and some new IPs such as Days Gone and VR games like Flashpoint, Here They Lie, and Batman: Arkham to name a few. The difference between these VR games and Ubisofts is that they’re geared towards single player which is probably the stronger market to aim for rather than the party game and multiplayer (in the same room) market. There were quite a few games I didn’t mention but I think what really made the Sony conference was when Hideo Kojima stepped onto the stage and the crowd went super hyped when he debuted Kojima Productions first game: Death Stranding which is a PS4 exclusive. Sony presented a strong set of games for this and next year. Better than all the other conferences. I think Sony did extremely well given that there was no hardware/software discussion of any kind; just really good games. Nintendo only had to show off The Legend of Zelda: Breath of the Wild and the new Pokemon games: Sun and Moon. Now, you’d think that Nintendo being one of the bigger companies would have more to offer at E3. However it seems like the focus was to be on Zelda this year. the Treehouse stream spent about 20-30 minutes on the new Pokemon game and literally the rest of the time on the new Zelda game which was hours. Don’t get me wrong, the new Zelda game looks fantastic. It is very different from the Zelda games on console. It’s more open world, there are a ton of interact-able things to do. I had to pull myself away a bit because I didn’t want to see too much in order to play and explore the game for myself. It will definitely be a big seller and that may be what Nintendo is looking for right now in focusing on Zelda. To conclude, I think Sony won game-wise due to having more strong IPs that had more impact. I think Microsoft won in the hardware/software department. No one was competing in this section but the Play Anywhere program alone made Microsoft win out. Nintendo seemed to focus on quality over quantity by showcasing three games (I really want to say two since the Pokemon games are really similar). The main games each conference had were all quite good. In the end, this year’s E3 wasn’t as quite impactful as last year but there were still a few surprises and new content that satisfies. I don’t normally post these but with this one I just had to. There are very few game trailers that get me super excited for game. Especially fan made ones for that matter. However, Miracle Of Sound was able to do just that for The Witcher 3: Wild Hunt. Mind you I was going to get the game but this song and video to match has gotten me really excited for it. I even decided to start playing the first Witcher game to tide me over. This is the metal version (video above) but the original celtic version is here. I enjoy both and I hope you do too! So I’m back for Part 3 and this will be the last segment for the Console Wars 2013 series. If you’ve read this series up till now, thanks a lot for reading! Also let me know if you’d like to see more of these type of posts. So let’s wrap this up. 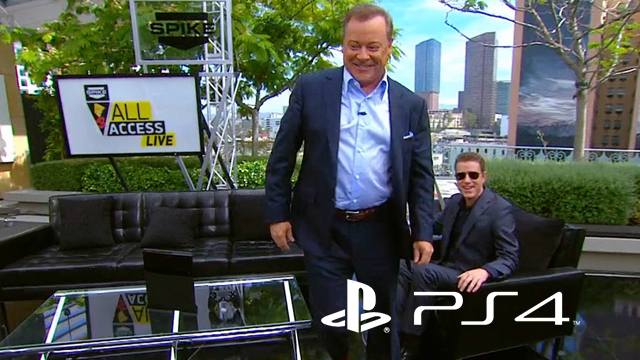 I first want to cover the interviews Gamespot did with Jack Tretton (Sony) and Don Mattrick (Microsoft). I’ll start with Mattrick’s interview because there’s one critical thing I wanted to cover and that’s the quote Mattrick made: “If you don’t have good internet we have another option for you and that is the 360”. Sigh… I really don’t wanna bash Microsoft since they’ve been taking a beating but damn it they’re feeding me so tough for them. Sure stick to you’re policies for always online but to say get a 360 if you have bad internet? That was a horrible thing to say and if Mattrick was told to say that, then it’s even worse. 360 is a cool console but everyone focusing on E3 wants to play next gen games! What I heard was “If you don’t like the console buy a PS4”. Jack Tretton’s interview was interesting too. He did say that DRMs might be implemented from 3rd party publishers but that’s not Sony’s fault if that happens but I’m glad he addressed that when asked. But the most needed thing that happened was the mic drop and walk away. Just the genius marketing, research and presentations Sony did outdid Microsoft this year, the mic drop was well deserved. The always online requirement was dumb in the first place. There are times when you’re internet can go down and there are places in the world that don’t have decent internet. 24 hour check was also dumb. A first time authentication, ok sure, debatable. But checking if I own a game I bought for a console every day? Authentication no longer necessary. If for a game, again debatable. The additional restrictions on trading or loaning discs is a hot topic. I think that I should be able to do whatever I want with a game I bought. But this is debatable since the issues of developers not getting the money they deserve. So… we can all guess why this happened. With all the negative feedback the Xbox One was getting it needed some sort of edge otherwise they’d really have poor sales (I also think they saw they we’re having poor sales). With this change, I see Xbox One being more competitive with the PS4 (if you don’t mind the other issues like the Kinect “always on” and such). But sadly for Microsoft, the damage is already done. Thanks to Microsoft’s previous policies and smart marketing by Sony, the majority of gamers were convinced to get a PS4 or at least PS4 is the main choice for launching consoles. There are some people that are die hard Xbox fans and will get the Xbox One regardless. I even know a person who’s getting the Xbox One before the policies changed. In the end, Sony had the best way to start the always online trend. A lot of the top console games at E3 are more online oriented games. This is the way to pave a new path for gaming. Ease gamers into it slowly and we’ll adapt to it. Gamers won’t adapt to it if a new idea and a bunch of restrictions are shoved into their faces, that looks to them like a cash grab and expect them to accept it. I know Microsoft wanted the One to be the next Steam for consoles but they really approached it wrong. When Steam started out, there was no competition. Microsoft has Sony and arguably Nintendo. So Microsoft HAD to get it right from the start. Sadly they didn’t and they paid for it. Again I think that Xbox One will be fine due to the fan base and Microsoft might perform other improvements down the road. And this concludes The Console Wars 2013 Series. Thanks for reading and be sure to tune in for more on my thoughts on big gaming news that drops in the future! So I’m back for Part 2 of the Console Wars where Sony and Microsoft are at E3 and had to see which of their consoles will gain the most favour. So without further ado, let’s get right into it. We’ll start with the Microsoft E3 conference. People were waiting for E3 to see which games would be coming to Xbox One and more importantly for more information on the restrictive features which have got gamers irritated. So, I have to say that Microsoft’s conference started really strong with the first look at the new Metal Gear Solid 5 (which I am totally stoked for). Microsoft showed off a lot of games but not too many exclusives. The biggest exclusives I was interested in were the new Halo and Titanfall. Halo has decent popularity among Xbox gamers but Halo ended for me at Halo Reach. But that’s just me. I think they did well with their presentation but they did not delve into the issues regarding the restrictions. I guess it was a good decision on their part to leave it out because I feel they would have been brief on the subject and leave us all with more questions. Now onto Sony’s presentation. The only big thing I can say expected is that we were left with the lack of the reveal of the PS4 console. Of course it got revealed in this presentation. It got mixed reviews but not the subject I want to address. The games that Sony showed we’re quite good: Destiny, Kingdom Hearts 3, Final Fantasy XV, The Order, 1886, Infamous: Second Son. The indie games looks quite good as well. What was interesting is the Sony had more game footage / demos than Microsoft. And of course, Sony literally won out the presentations for the day by confirming that there will be no used games or online restrictions to games whatsoever. The crowd there cheered like crazy and I was quite honestly floored at first because I knew with those statements and the crowd’s reaction, Sony won E3. And to hammer the nail in the coffin, they announced that the PS4 launch price is $400, $100 cheaper than the Xbox One. As I recovered from the Sony presentation and absorbed everything, I realized something. Sony pulled off the greatest marketing scheme of the year… by doing virtually nothing. Think about it. They made PS+ mandatory to play online and some of the top games they showed may require some form of online connection to play like The crew and Destiny. Some games that’ll be released on the PS4 by another publisher might have DRM attached *cough* EA *cough*. But all of that was pretty overlooked because Sony using Microsoft’s negative popularity with the DRM or used games restrictions to their advantage. The irony in all of this is that Microsoft did all this work for a “new revolution” of gaming (which I’ll delve into in Part 3) and got a ton of flack for it. Sony didn’t do too much extra (they did do the game control transfer thingy) and just said they aren’t doing what Microsoft is doing regarding the restrictions and got cheered for it. So at the end of E3 I tried to find out how many people were going to go for the PS4 over the Xbox One. 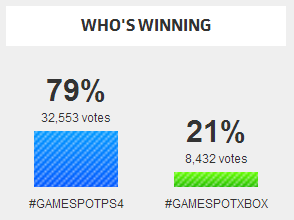 I checked out Gamespot’s Twitter hashtag poll (on June 18th) of PS4 vs the Xbox One. I took a snapshot of the poll. I have to say, I’m wasn’t that surprised by the results (as you can see on the left). So Microsoft needed to turn things around and fast because I knew for a fact, where I lived, PS4s were solded out everywhere (with the exception of EB Games/Gamestop) while the Xbox One was still in stock. Fortunately, the week after E3, they had an answer and announced they’d dropped the online restrictions. But we’ll cover that in Part 3: The Reversal. Stay tuned! So this is my first blog post… ever! So I thought there’s no better way to start it off than to write about the Console Wars this year between Sony’s Play Station 4 and Microsoft’s Xbox One. I know, I know, this news is old but I’ve been rather busy in the past couple of weeks since E3 and this is the best way to get my 2 cents in about everything. I guess I should start at the very beginning in case you’ve been living under a rock. Alright so, let’s start back in February! Sony had a presentation to talk about the PS4’s capabilities and some games. It was streamed live so I tuned in. The first 20 – 30 minutes was a bunch of technical jargon that people with little to no computer knowledge would understand (thankfully I had the knowledge to comprehend what the dude was saying). The presentation as a whole was OK. Some interesting capabilities such as control swapping & remote play but some of those features I personally don’t see using. I mean, I wouldn’t want anyone to take control of my game, I want to beat it by myself.The console itself had good hardware that console lovers should be excited for (if they’ve only played consoles mind you), although I think the majority just cared about the graphics. The social media they showed for stream integration was UStream which I thought was odd because Twitch would be the number choice to partner up with for game streaming. Later down the road we find out Microsoft got to Twitch first. Some of games shown in order to show off the PS4 graphics and processing power looked quite cool, especially Square Enix’s new IP (screenshot to the right), at least I hope it’s a new IP, it looked really good and looks like it have a story I can get behind (I’m a sucker for RPGs). There was no PS4 reveal which disappointed a lot of people but left them looking forward to E3. You can check out the presentation here. Now we’ll move onto Microsoft’s presentation for the Xbox Reveal in May. Man, oh man, I got a lot to go over on this one. What kinda sucked is that I was listening to the stream live at work and took peeks every now and then when I thought they mentioned something worth looking at. In short they focused more on the TV and social media aspect than the games or even the hardware. My first thought after watching this was that there was nothing really interesting besides actually seeing the Xbox One and finding out Halo is going be a show directed by Steven Spielberg (which I’m totally psyched for). The initial speaker showed off some of the new Kinect capabilities but like with the PS4’s special features, I don’t see myself using them. “Xbox On”? It’ll be a foot away from me. I’m lazy but I’m not that lazy as to not reach out to press a power button. 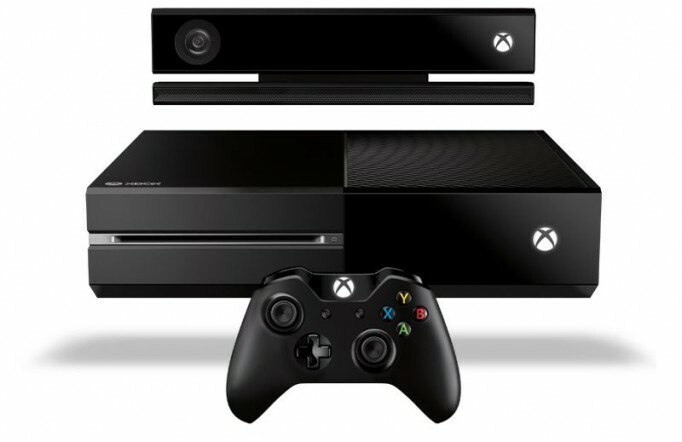 I can see it being useful for accessing stuff on the Xbox One if disability is involved. In short there was nothing much for the gamer. People brought up that the presentation was really for investors but come on. Gamers are the consumers. If your consumers are left with next to nothing, they won’t be impressed and will consider buying your product less. This reaction will , in turn, will make investors less likely to invest in your product. Gamers also got a little, ok, a lot more vocal when they found about the online restrictions but you guys should know about those by now so I’ll cover what I think about that in the next post. My twitter feed kept on rolling out tweets along the lines of “TVTVTVTVTVTV” or “Show us GAMES!”. When they did it was only the new EA sports games, Forza and the Call of Duty. I’ll admit CoD looked good but they really didn’t have to spend the last 10 minutes of the presentation on it (the full presentation was an hour by the way). 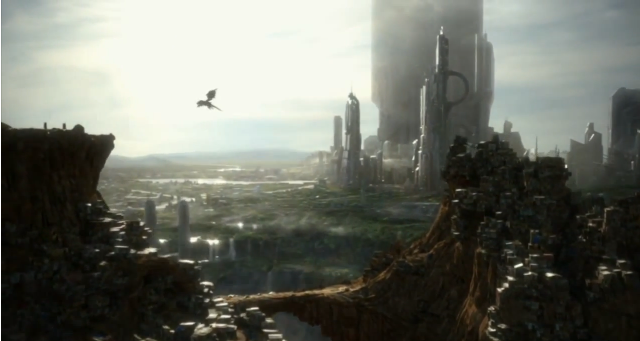 You can check out the Xbox One Reveal presentation here. It seemed to me that both Sony and Microsoft had a bit of work to do for E3. Sony needs PS4 reveal and Microsoft needed more games and a better explanation of some of the Xbox One capabilities. At this point Sony was in a bit of a lead for the Console Wars due to Microsoft lack of games. All of this information I learn, I took it with me while watching the E3 presentations. Stay tuned for Part 2 – The Sweep in the coming days, this post will cover my thoughts of the 2 consoles surrounding the E3 hype!